Harry Banks French of Gladwyne, Pa. passed away peacefully on December 7, 2018 in Bryn Mawr Hospital, Philadelphia. Born in Philadelphia on February 16, 1926, Harry was the son of the late James Graham and Lenore duPruney French (nee Roussel). Harry and Phyllis French (nee McLean) were married 64 years. He was the dedicated father to Chip French (Alison Phillips), Pamela French, MD (Lyn Kratz), William French, Clayton French (Pamela French nee Meadowcroft), dearly loved grandfather to Colby, Courtney, Ryan, Tyler, Bradley, Dawson and Kiersten, beloved uncle to many nieces and nephews, and friend to all. Harry’s determination and appetite for success began at a young age, when he graduated as vledictorian from Brown University with a bachelor’s degree in engineering, while also serving as Lieutenant in the Navy. He went on to receive his master’s degree in business administration from Harvard University as a Baker Scholar. Harry’s interests then led him into the financial field, where he worked as an investment banker in Philadelphia. During this time, he discovered a struggling company which developed a handheld searchlight. This company became Streamlight Incorporated, founded in 1973 and is now in its 45th year. In 1994, Harry assumed the title of Chairman and was on site and overseeing the company. Streamlight, Inc. designs, manufactures and markets portable lighting equipment. At 92 years old Harry drove to work every day and loved being at Streamlight and interacting with the people there. Harry also devoted much time to the Episcopal Academy. When he graduated in 1944 he was voted by his classmates to be best student and most likely to succeed. He was a trustee for many years and is currently an Emeritus Trustee. He served on the Alumni Board of Managers for nine years and received the Distinguished Alumnus Award in 2009. In 2017, he was awarded the 1785 Bowl to honor his superb work on behalf of the school. Harry had a gregarious personality, making friends everywhere he went. He valued the people in his life, including his many employees, and took responsibility to care for those less fortunate. 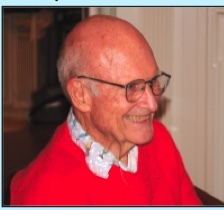 Harry was a charitable man who especially held Episcopal Academy and St James School close to his heart. Harry enjoyed vacationing and boating in Boca Grande/Placida, FL, Avalon, NJ, and Cape Cod, MA. He loved skiing, watching sports, discovering new dishes at unique restaurants, listening to Dixieland jazz, but above all his greatest joy was his family. He will be deeply missed by all who knew him. Harry was predeceased by his sisters Martha Cummin (Pete), Lenore Zug (Tom) and Anne Thorington. Relatives and friends are invited to Harry’s Life Celebration on Thursday December 13, 2018 from 4PM to 6PM at Boyd-Horrox-Givnish Life Celebration Home of East Norriton, 200 West Germantown Pike. A time of sharing will begin at 6PM. Guests are also invited to Episcopal Academy on Saturday December 15th for a visitation from 11AM to 1PM with a service to follow at 1PM. In lieu of flowers, donations in Harry’s memory can be made to Bryn Mawr Hospital Foundation Nursing Excellence Fund or The Gladwyne Fire Company. To share your fondest memories of Harry, please visit lifecelebration.com, (610) 277-7000.